Where Traveler presents an audio tour of the host city of the 2016 Summer Olympic Games. Download the free app and access the audio tour on your phone to discover the top attractions across the city, in your own time, and at your own pace. Visit this cathedral in the late afternoon when sunlight streams through the immense stained glass windows. Visit this iconic stone statue when the sun goes down, when the surrounding tropical forest comes to life in a chorus of cicadas and singing evening birds. Trem do Corcovado takes approximately 20 minutes to reach the top. The gardens are home to 9,000 rare vascular plants and 140 species of birds. The best time to visit is weekdays to avoid busy weekends crowds.Take the audio tour and stroll through the parks’ meandering pathways and look out for sculptures and fountains. The site is accessible by a cable car that runs every 30 minutes. The views from the top to surrounding beaches, mountains and forests are unforgettable. Best time to visit is early in the day to avoid crowds, to enjoy the clearest air and unobstructed views. Visit this stadium which was designed as the major venue for the Rio Carnival, especially the annual parade of the Samba Schools. The iconic stadium hosts the Opening & Closing Ceremonies of the 2016 Summer Olympic Games. Explore this picturesque hillside neighborhood on foot to view its colonial buildings. 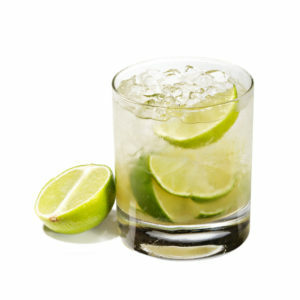 Experience Brazil’s national drink at the famous bar. Popularly known as the MAR, Rio Art Museum was one of the first structures that opened as part of the regeneration of the port zone, Porto Maravilha or “Marvelous Port” renewal project. Learn about the architectural history of this waterfront museum with a vast collection of modern art from around the world. 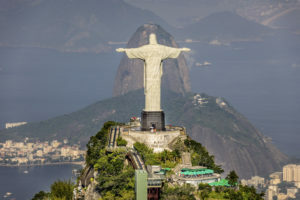 Visit WhereTraveler website for your complete guide to the best of Rio de Janeiro, including great restaurants, wonderful nightlife, fascinating attractions and more.